Portugal's president has endorsed his country's new abortion law which would lift the ban on procedures during the first ten weeks of pregnancy. President Anibal Cavaco Silva said he could not 'remain indifferent to the fact that there were 59.25 percent of votes to lift the ban', a reference to a national referendum on the issue in February. 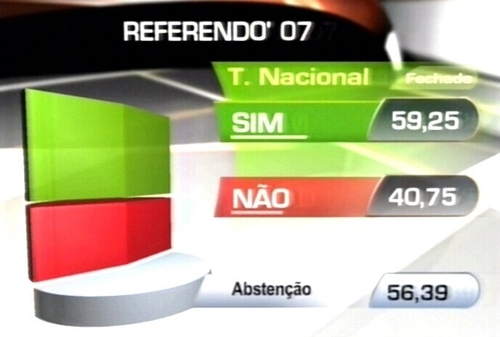 Technically, that vote failed because not enough people turned out to vote, but last month the Portugese parliament approved the new law by a majority. The Socialist government now has 60 days to regulate the new law before it can be implemented. The government hopes the new law will reduce an estimated 23,000 illicit abortions every year. When the ban is ended, the traditionally Catholic country of Portugal will join most European countries in allowing abortions. Malta, Ireland and Poland still have highly restrictive abortion laws. President Cavaco Silva, himself a Catholic, said the new law should establish a series of conditions to ensure women are properly informed of the consequences of this 'irreversible' act through a required medical appointment. He also it is important for the biological father to be present at the woman's medical appointment and that the woman be told about alternatives including adoption.